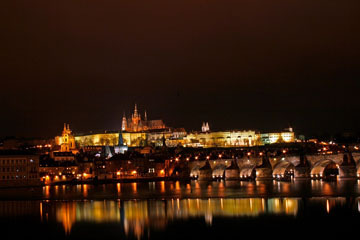 Call A1 Overseas International at 1-800-450-5319 to discuss your upcoming shipment to the Czech Republic or fill out our form for a FREE quote! A common misconception about shipping a personal vehicle overseas is that, people believe they cannot afford that kind of service. To determine whether or not international auto transportation is something you should consider, take the cost of public transportation in the Czech Republic into consideration and how often you will need to use it. If you want the best deals in the industry, contact A1 Overseas International to find out if your vehicle meets auto shipping requirements. Always be prepared to provide proof that the vehicle you are driving in the Czech Republic belongs to you and that it is legally allowed to be there. Every country has their own set of rules on importing and exporting private vehicles and a car inspection is mandatory. Make copies of important documents and take care of anything that might cause problems for you overseas such as leaks or broken blinkers. To avoid trouble with customs officials or law enforcement, let A1 Overseas International take care of business. To provide the best service, A1 Overseas International completes a thorough inspection on all of the vehicles before they board the ship. Scheduling a ship date can be done over the phone, but if you are a first time auto shipper, give yourself ample time to prepare for the journey.